Get ready to explore snow covered mountains and the arctic wild forest biome with the eye of polar bear in Polar Bear Family Survival game. Find your polar bear mate and protect your arctic bear family from the dangerous wild animals. 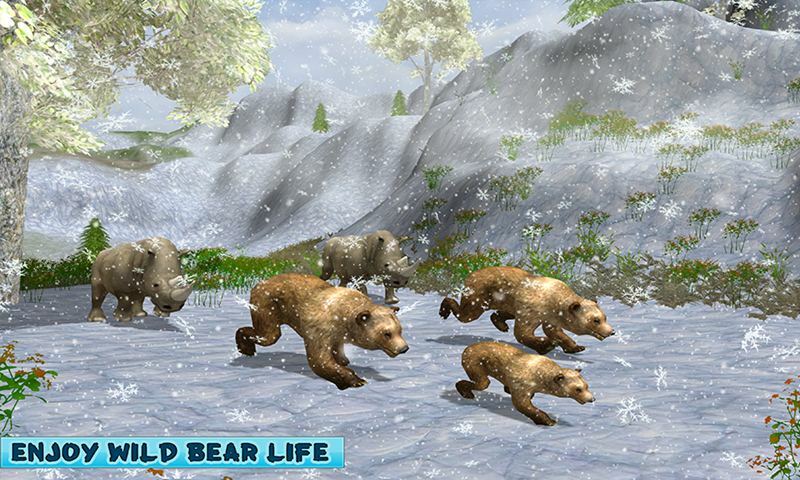 This bear game simulates the story of a polar bear family who are living in freezing area and protecting the breed of wild bears. 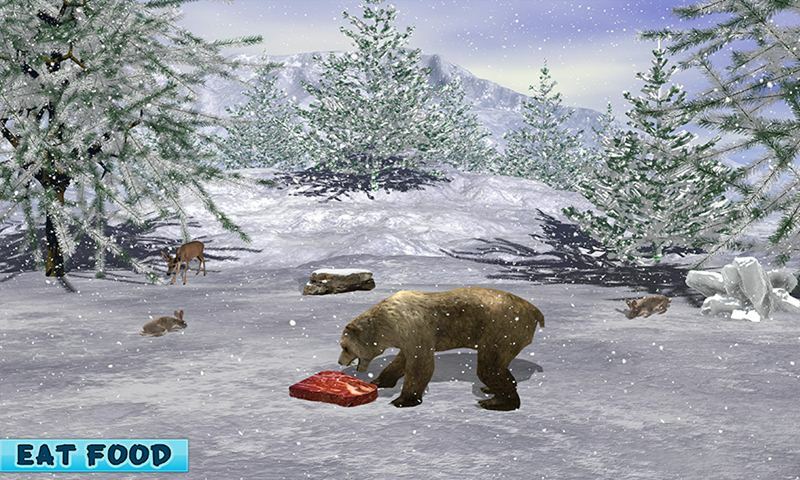 Polar Bear Family Survival game especially designed for the wild animal games and jungle quest games lovers. This ultimate polar bear will hunt the fishes from the river and provide meal to his arctic bear family. Migrate your bear family from one biome to another, Increase your bear family and find new home for living. Polar Bear Family Survival simulator contains the thrilling and intuitive jungle quest missions for you. Experience the life of polar bear to explore the arctic area. 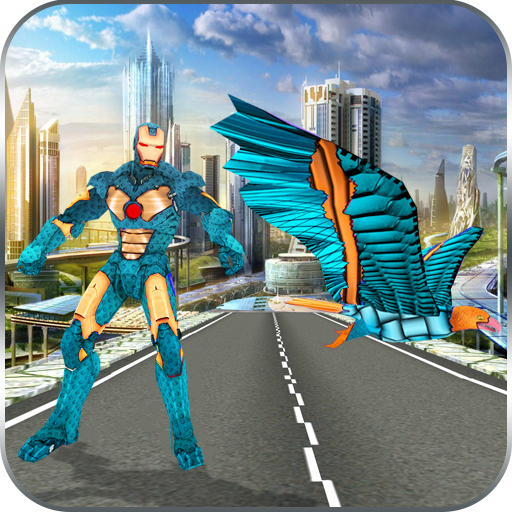 Choose your favorite polar bear and make battle with rhino and lions. 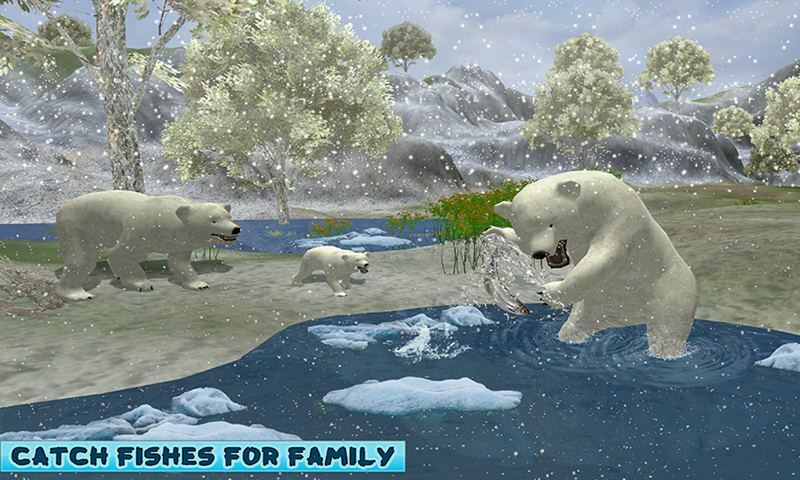 Swim in the cold water and hunt the fishes for your family in this crazy polar bear game. Find your bear mate and enlarge your family. Protect your beautiful bear family from the angry animals like, elephant, rhino and lions etc. You will need to maintain your health, hunger and thirst to survive in frozen arctic jungle environment. Destroy the rock that covering your house. Drink water from the pond to increase your health. 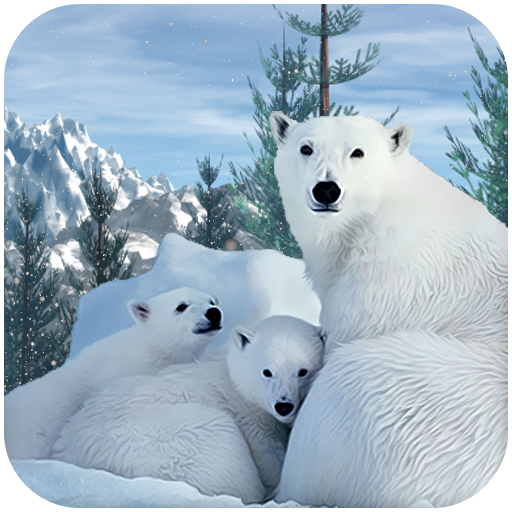 Get more points to unlock the other polar bears in this Polar bear family survival game. Find another polar bear to mate with and raise your polar bear family while playing this polar bear family survival. 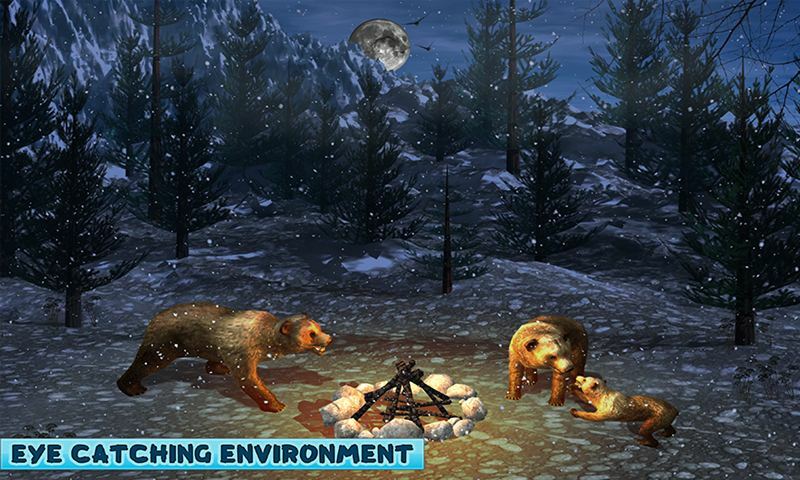 Play with your baby bear and help them to increase their strength to survive in wilderness.